I’m not sure if it’s because I lived in Arizona, California and Texas, but I’m pretty sure that tacos are a way of life for ‘us people’. They range in flavors and toppings galore as you have Sonoran, Baja, Texmex, standard beef and cheese, shredded chicken..I could go on and on and on. So I will! I tried to break out of that standard taco fare box and make it a little more refined, perhaps bigger and brighter flavors, and boy did that work out for me! Hey, I had OVER a pound and a half of steak, plus toppings and my family of two (apparently starving) adults and two lil ones and we ate it ALL. I won’t even bother you with the details of me just standing haphazardly at the butcher block shoving steak slices in..damn good! Lets marinate this steak! 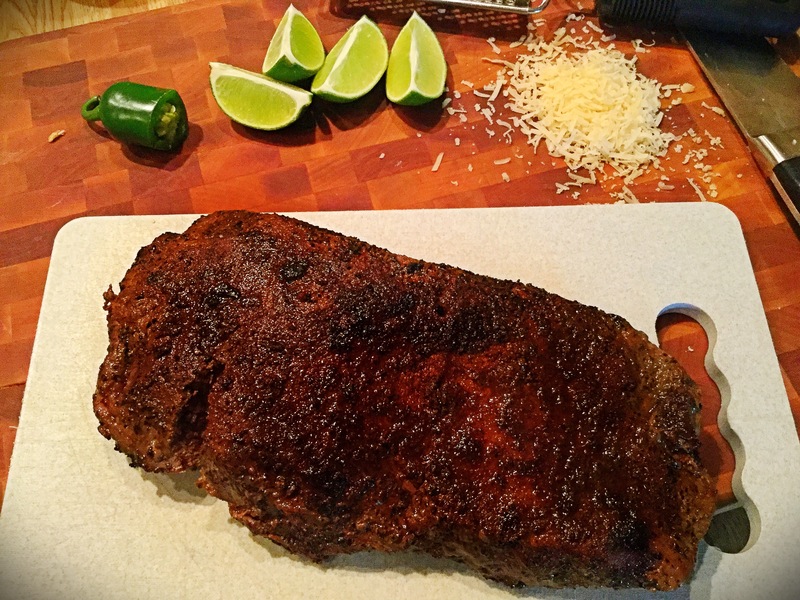 2-3 hours prior to grilling up, you’ll want to begin this. You could do a longer marinade time, however, marinades can break down the meat too much and it just won’t be quite as good, texture wise. 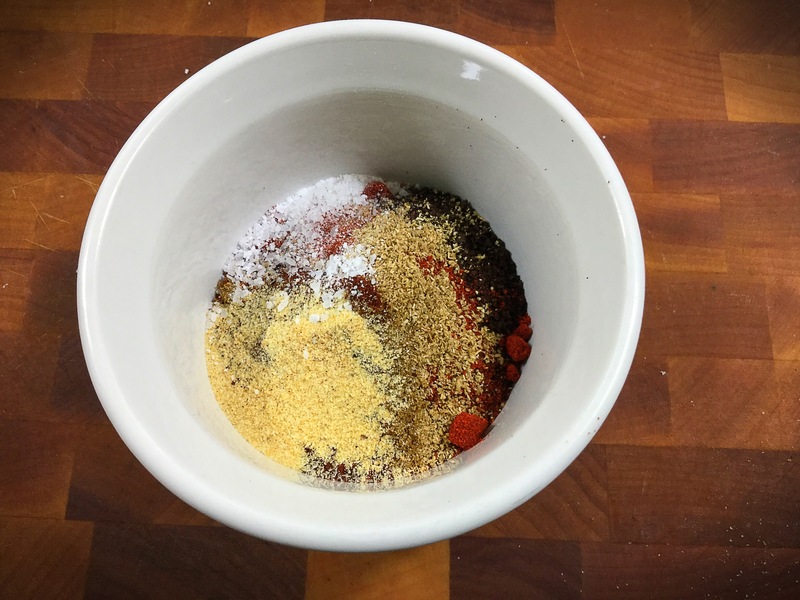 In a small dish, whisk together all of the spices listed above for the steak. 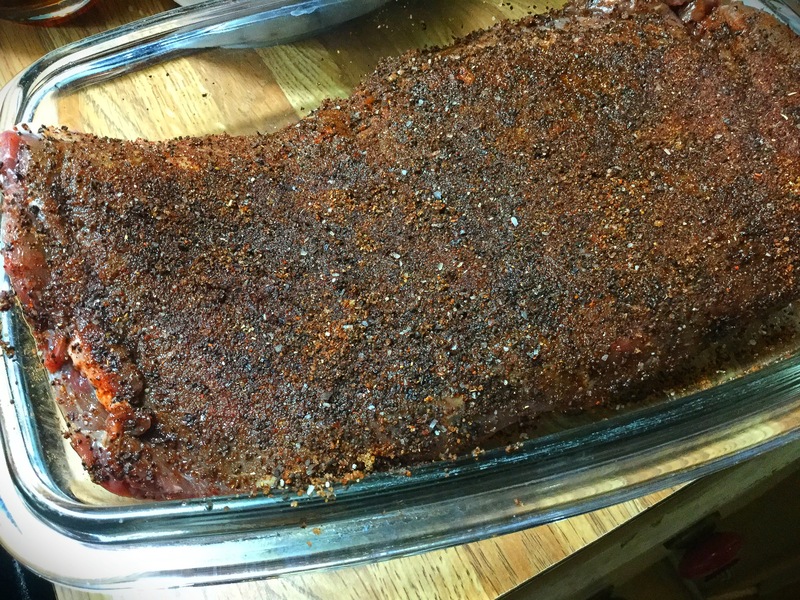 While using your fingers, coat the steak evenly with the spice blend, cover and place in your refridgerator until ready to grill. 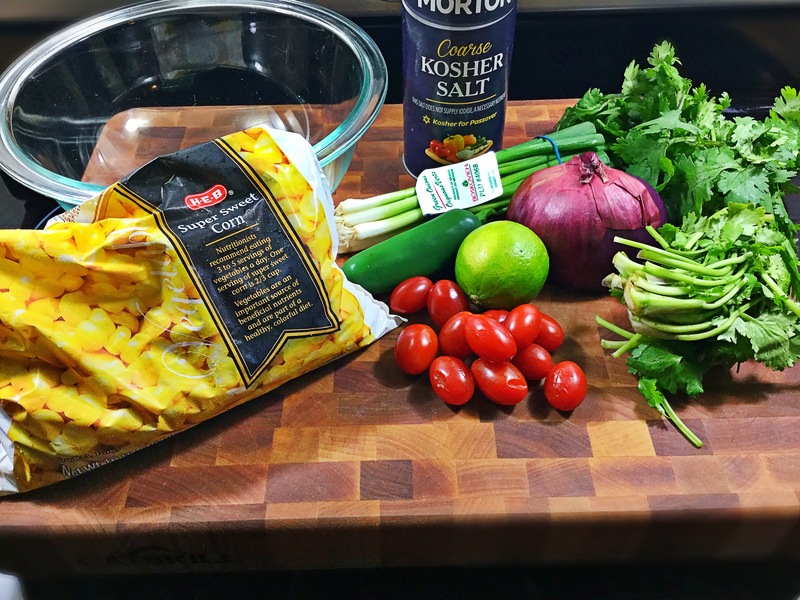 Next we can prepare that super easy spicy corn salsa! As always instructed ;), start by rinsing and chopping and dicing the veggies needed. In a microwave safe medium-size bowl, pour in the 2 cups of frozen corn. Pop into your microwave for just about 30 seconds tops. You do NOT want hot, mushy corn. 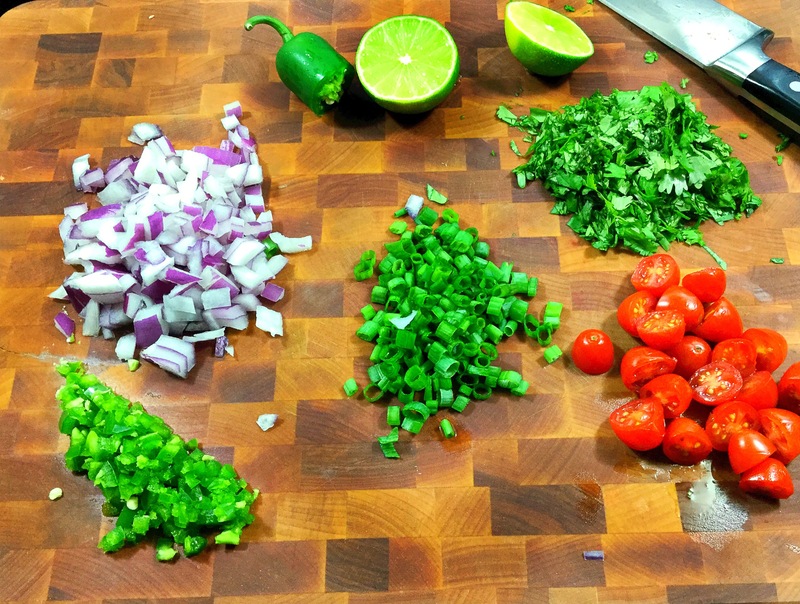 On to the other easy part, to that corn add in the prepared red onion, halved tomatoes, green onions, cilantro and diced jalapeños. Give a good squeeze of fresh lime juice and a hefty pinch of salt. Toss to coat, cover and like the steak, refridgerate till needed. 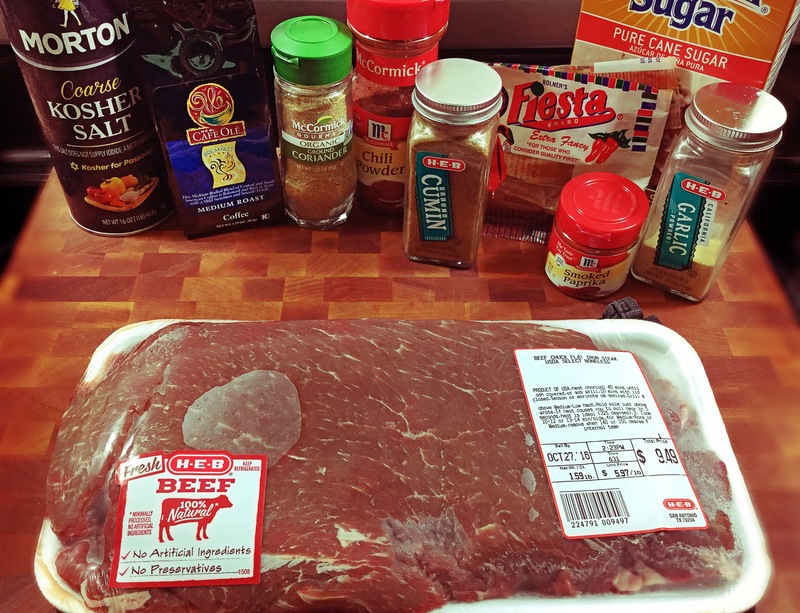 Ok friends..now here come your options and the “blah-blah-blah” of how to cook a steak. Please follow along. Remove the marinated, dry-rubbed steak from the refridgerator 20 minutes prior to cooking. I brought my cast iron skillet up to medium/medium-high heat and then added in the 1 Tbsp canola oil and 1 Tbsp butter (never margarine people). Once the skillet was just slightly smoking, knowing it was hot and ready, I layed the steak into the hot oil and butter. WALK AWAY. Let that steak sear and do its thing. It will of course have a dark outer-edge due to the sugar, coffee and spices creating that great “crust”. You so, so want that. 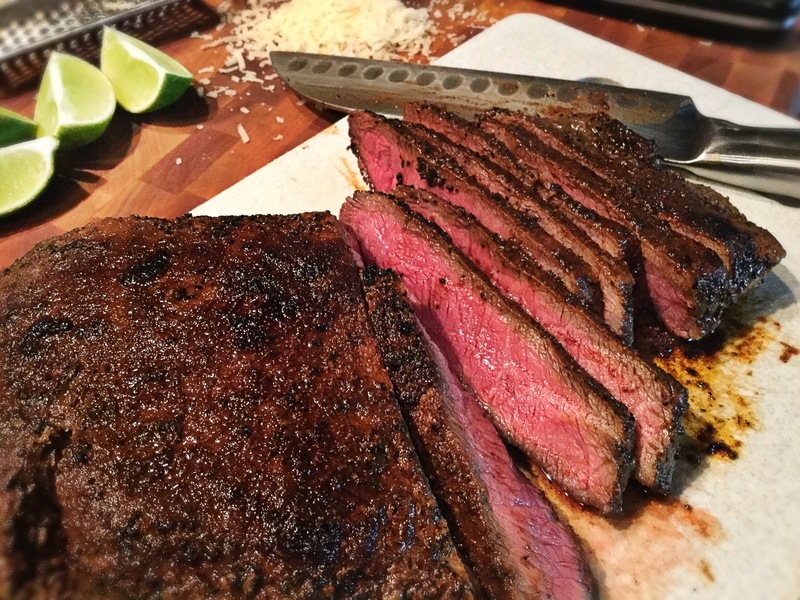 I prefer my steak a perfect medium-rare, so for my weight of meat I let each side sear for about 8 minutes on each side…then place on a cutting board, tent with foil and let rest for 10 minutes. PLEASE let rest!! 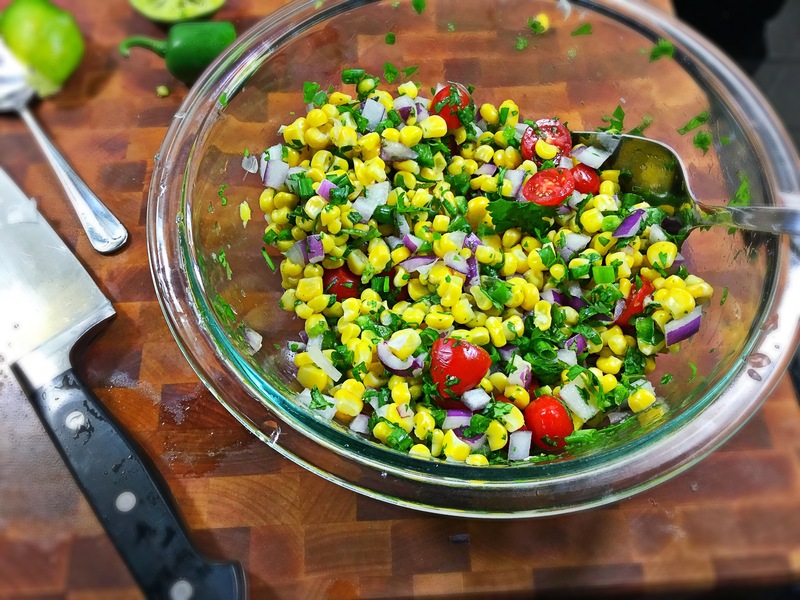 During that time you can get out your choice of salty cheese, the spicy corn salsa AND start to quickly warm and slightly char the corn tortillas! *If you have a smaller cut of steak, cook anywhere from 3-5 minutes per side (for medium-rare, internal temperature of 135 degrees). Of course you can eat the steak to your liking, so cook it longer if you so desire. *If you follow the medium-rare advice, but someone in your family is “weird” about that ;), simply take a few of the slices and return back to the pan for just a few seconds. It WILL cook fast! Once the steak has had its rest period (keep those juices IN! ), slice thinly against the grain..this is sooooo tender and just melts with that fantastic crust. Drooling….again. (You can also dice up the slices for small mouths..aka my kiddos). The time has arrived..assembly time! 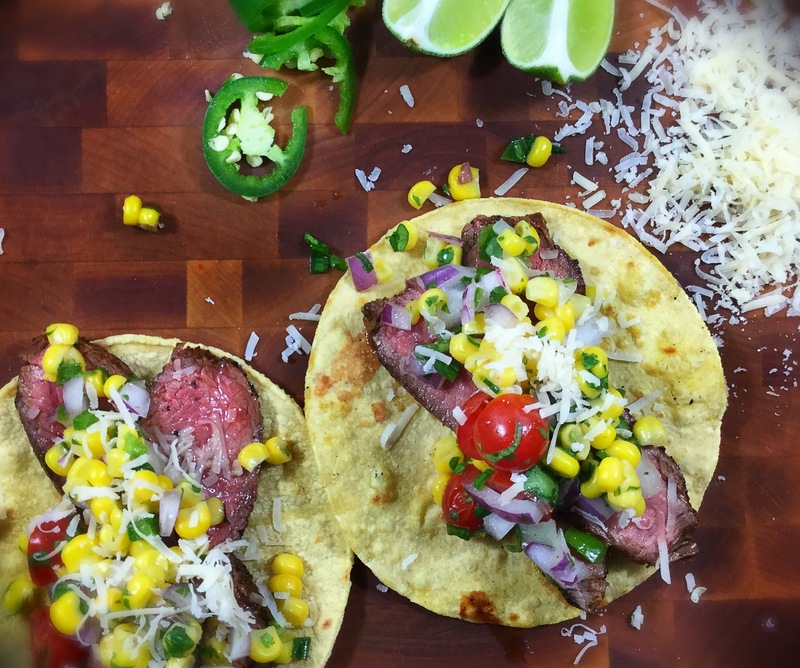 Simply take a warm and charred corn tortilla and lay a couple of slices of that beautiful steak on top. Garnish with a spoonful of the Spicy Corn Salsa, a bit of salty cheese and a few lime wedges..enjoy! !